Drawing Animals is popular with both children and adults. We do it for pleasure. We do it for profit. And we may do it for both. Below you will find free online drawing lessons on several animals. They are self contained so feel free to dip in and out of them or follow them all in any order you wish. They are all pencil based lessons. A lot (probably the majority) of online drawing lessons encourage artists to break down the seemingly complex shapes of animals into basic, often geometric shapes such as squares and rectangles. There is nothing wrong with that approach (I use it myself) but it isn't sensible to rely on it entirely. For example, I looked at one typical tutorial on a high ranking website where the artist did a break down of a Horse into rectangles, triangles and squares. The artist added guidelines showing how the neck and head could be divided neatly into two identical measurements. The rest of the animal was shown, again conveniently, split in equal parts. I have never drawn any animal or human who looked designed by an architect. Who are these "experts" trying to kid? Not me and I hope not you. Organisms are very awkward about growing in a natural and unique way. We can use shapes to help us get proportions correct but we also need to approach each drawing with fresh eyes. I will give you drawing tips that will help you Draw Animals quickly if you intend to work from life but be prepared to stretch yourself a little if you are the type who normally wants the geometric abc methods. You will find no system here. You will, however, see how to approach sketching and drawing your subject using shapes, basic measurements AND your own good judgement and eyes. Incidentally, the horse drawing ended up looking more like a Donkey. Not good. Visit my page on Drawing Supplies if you need any help on choosing pencils and paper etc. Eagle Drawings Two in One lesson in both pen and ink and pencil. Bird Drawing. A quick guide to rapidly sketching birds. Take a look at this cougar drawing tutorial on the excellent artinstructionblog.com Opens in another window. Do you like Drawing Animals? Share your animal drawings with other users of this site. The drawing-factory.com is an excellent resource for drawing animals and much more. It was founded by two artists, Vincenzo and Lucia who really know their craft. If you are an artist; want to be an artist, or just love art. 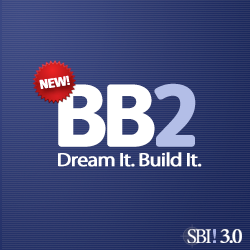 This site is for you. Have a look at another great site that will help you with Drawing Animals. 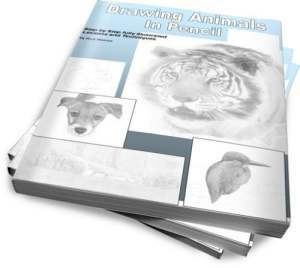 It provides animal pencil sketches or animal pencil drawings examples and step by step how to learn to draw animals such as horse, wolf, tigers, scorpion, snake, dolphins and even a butterfly.